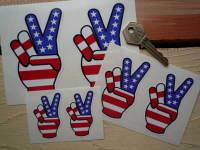 USA Stars & Stripes No '1' Sticker. 4". 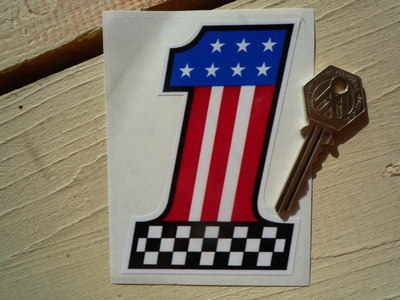 A singular, machine cut to shape, USA, Stars & Stripes '1' sticker. 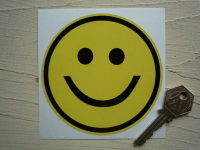 Sticker measures approximately 70mm x 105mm. 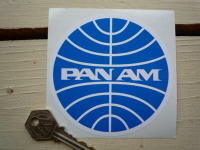 Pan Am Circular Logo Sticker. 3" or 4". 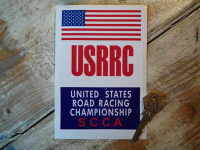 United States Road Racing Championship Sticker 4"
SCCA Red Middle Wheel Stickers. 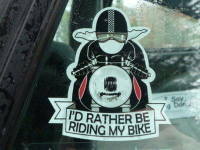 3" or 4" Pair. 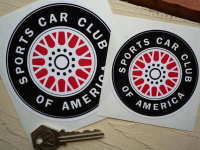 AAA Automobile Club Southern California Sticker. 3" or 4". 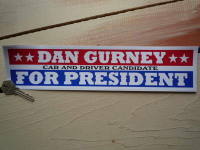 La Carrera Panamericana Mexico Circuit Sticker. 4". 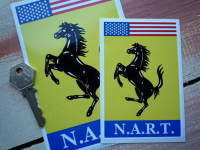 La Carrera Panamerica Mexico Circuit Sticker. 2.75". 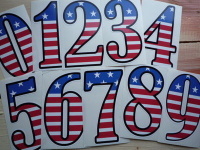 Union Jack & USA Stars & Stripes Crossed Wavy Flags Sticker. Various Sizes. Petrol Pump Star Stickers. 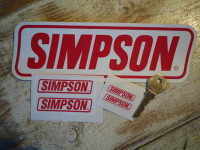 Set of 5. 30mm. 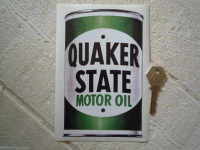 Quaker State Oil Can Sticker. 6.5".